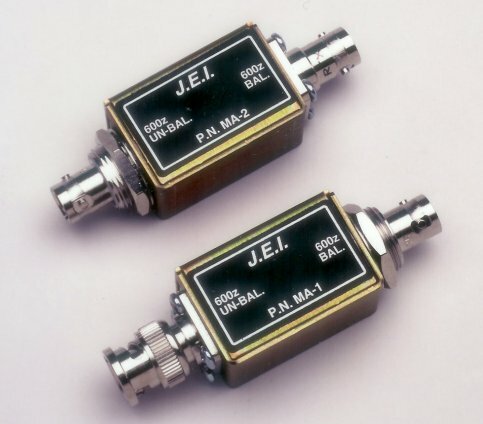 The JEI Models MA-1 and MA-2 Matching Adapters are for connecting unbalanced BNC connections to Triax BJ-75 cables. The MA-1 has a male BNC input to Triax while the MA-2 has a female BNC input to Triax. The unbalanced input is transformer coupled to the balanced output. 1. Allows existing unbalanced systems to convert to balanced.